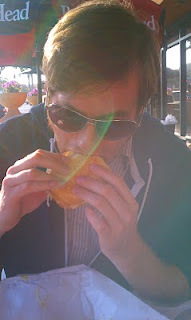 Ever since I started this blog, I have constantly asked for suggestions of places to try in my quest to find the ultimate sandwich. And when I’ve asked for DANGER, dear readers, you have all reached out and thrown it my way. This week I wanted to try a place that was recommended to me by numerous people: Bay Cities Italian Deli. After hearing stories about long wait times, I was a little bit wary about my first expedition there. I headed out to Bay Cities around dinner time though and lucked out with a very short wait. 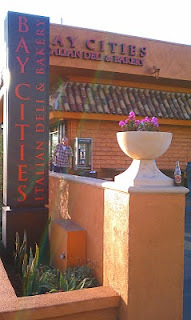 The most surprising thing about my visit to Bay Cities is that the deli itself was more than what I expected. I had gone there thinking it would be another east-coast style deli, but was pleasantly surprised by the fact that the deli was only one half of a fully stocked Italian Market. They were stocked with fresh baked goods and a wide selection of other items you would normally find at any local market. The excellent selection of hard to find sodas in the back is always a welcome sight in a sandwich shop. For my first expedition into DANGER, Italian Style, I saddled up to the counter where I felt compelled to order like a portly Italian man from Brooklyn. Deciding that ordering a sandwich like Tony Soprano in this case would be more DANGEROUS than necessary, I grabbed a number and ordered the Godmother. I mean, with a name like that, you’d almost expect something magical. The Godmother consists of freshly baked Italian bread, genoa salami, mortadella, coppacola, ham, prosciutto, and provolone. I also got it with “The Works” which adds mayo, mustard, onions, pickles, tomatoes, lettuce, Italian dressing, and mild or hot pepper salad. As I always like to do when evaluating a sandwich, let’s start with the bread. The Italian style baked bread is excellent. Soft on the inside, but a nicely baked tough crust on the outside. It’s a real treat to find bread as well made as this. If it were used as a side, or torn off and covered in butter, it would be equally enjoyable by itself. 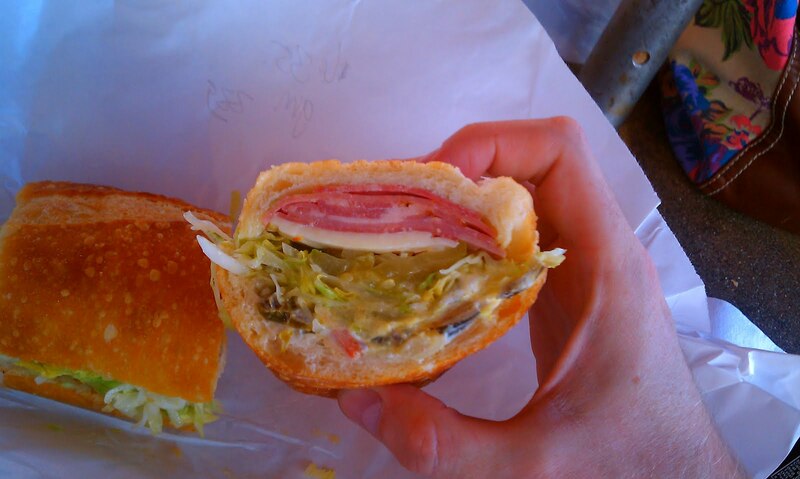 The army of meat is an delicious combination of Italian cold cuts. It is high quality deli meat that easily falls apart in your mouth. Combined with the more pungent and spicy “Works”, this is an all around savory sandwich with a nice spicy kick that contrasts nicely with the subtle, but delicious combination of Italian meats. The only problem though, and it’s a minor one, is when these two parts of the sandwich are combined into…well, a sandwich. 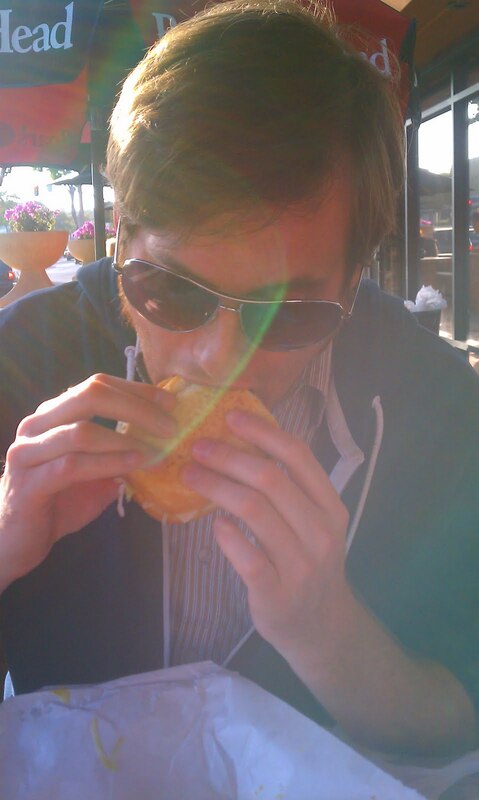 With the tough exterior of the bread, any bite made into the sandwich pushes the contents out. By the end of your dining experience, your hands are covered in about four different liquids, and about a third of the sandwich may be on the table. Nonetheless though, this is a first rate sandwich worth the drive out to Santa Monica. 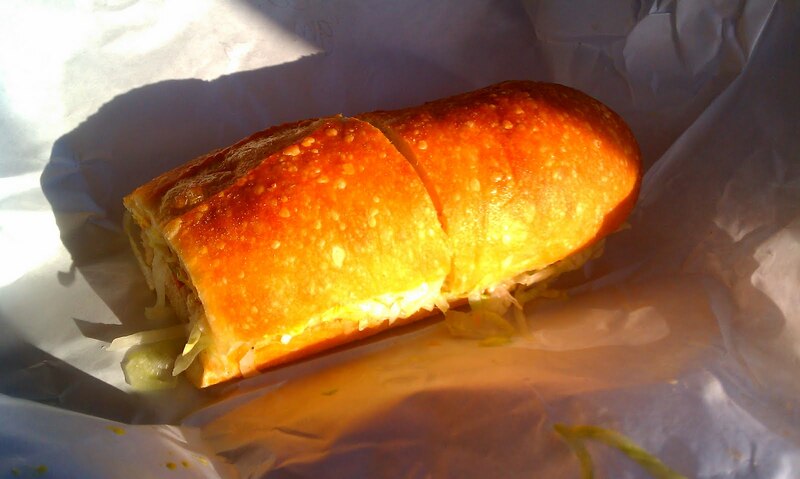 Note, all sandwiches at Bay Cities come in small or large sizes. I highly recommend you get the small. It’s more than enough, unless you just so happen to starve yourself three days in advance. Bay Cities is the type of place I would love to live around the corner from. It has a wide variety of items, and the place has real charm. But those two things are easily trumped by the excellent deli counter, and their delicious sandwiches. I kind of disagree with the downs of some of the sandwich on the table… That’s the fun part- picking at stuff with your fingers I’m glad you went to bay cities!